Admission in one of the top institute of India is an opportunity to get quality education in life. Direct admission in graduate and undergraduate courses is an opportunity for all engineering aspirant. So, here is a chance to grab, we are providing direct admission in SJB Institute Of Technology, Bangalore through management and vacant seats. For a good future and career you require a better guidance, so, avail your seat in one of the top engineering institute of India. SJB Institute Of Technology, Bangalore comes under Sri Adichunchanagiri Shikshana trust which was established in 1974 by Padmabhushan Dr. Sri Sri Sri Balagangadharanatha Maha Swamiji. The institute was established with a vision to educate the young minds in the technical field and contribute in the nation development through its student growth. SJBIT is one among the 450 institute controlled by the trust. SJB Institute Of Technology was established in 2001 with the blessing of Swamiji. The Institute is located in Kengeri, Bangalore, Karnataka. It is affiliated to Visvesvaraya Technical University and is recognised under UGC, New Delhi. SJBIT is a private institute and has been ranked by DataQuest as number one private institute among the institutes affiliated to VTU. Why to Take Admission In SJB Institute Of Technology, Bangalore? CAMPUS AND FACILITIES – The institute is spread across 13 acres and is surrounded by greenery which makes the environment tranquil and peaceful. Library has all the latest edition and references. Adding to this library is digitised by the institute. Cafeteria for student relaxation and 400mtr track playground for students to keep them fit. There are total four hostels in the campus for both boys and girls. PLACEMENT CELL – Training and soft skill classes are conducted for students. Every year they are trained so that, they can be ready for campus placement. Many top MNC’s have recruited SJBIT students through on-campus. STUDENT ACTIVITIES – Many programs and cultural fest are organised by SJBIT students. ‘VARCHASVA’ is the annual tech fest conducted in SJB Institute Of Technology, Bangalore. Many sports tournament are also conducted in the institute ground. The institute has its own NSS society in which SJBIT students plans social awareness program and do something for the social upliftment. ALUMNI MEET RESEARCH FOUNDATION – SJB Institute Of Technology, Bangalore conducts alumni meet in which our passout students and current students interact. Through alumni meet, alumni guide current students about the future prospectives in their field. Recently, SJBIT has established a research department and soon they will be enhancing projects in different department with the help of their students. Structural Engineering (M. tech-18 Seats). 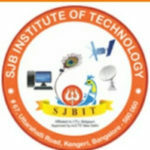 These are the courses offered by SJBIT, Bangalore. For further details on SJB Institute Of Technology, Bangalore you can contact us and we will help you with the admission process. Call us on 0740601000 to know more.